Between 1972 and 1995, the CIA and other US governmental organizations asked dozens of young citizens to explore an unconquered frontier: the realm of the psyche. Supposedly beginning in 1972 but with its official start in 1990, Project Stargate involved a number of investigations into the paranormal by the CIA and partner organizations such as the DIA and INSCOM. After the termination of Project Stargate, a new program was formed, Project Farsight. As of 2017, Project Farsight is still an active CIA operation. However, with the declassification of Stargate, we’ve learned some bizarre things about it. Here are 10 of the project’s most stunning documents. Commonly found in the Stargate documents are handwritten records of remote viewing sessions with simple sketches and graphics. 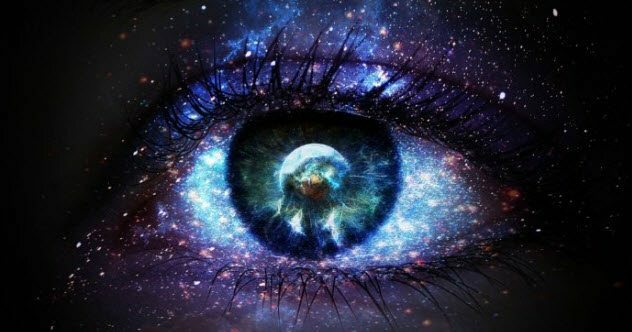 Also known as clairvoyance, remote viewing is the ability to use extrasensory perception (ESP) to “see” or “sense” a far-distant object, person, or place. While most of these records of remote viewing experiments don’t contain much (or any) typed text, they can be a treasure trove of bizarre insights into the daily assignments of Project Stargate remote viewers. 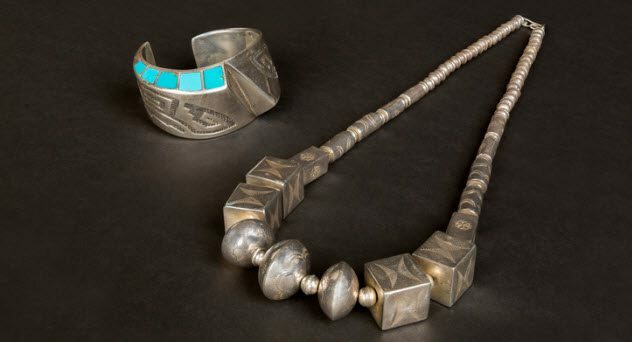 Among clairvoyant perspectives on the Tunguska event and the Rendlesham UFO incident, we find the following unexplained session involving an old Navajo necklace. As part of a Project Stargate remote viewing experiment, Subject 052 was given geographical coordinates and simple cues to get started. The goal of the experiment was to get Subject 052 to successfully describe a particular object, a silver Navajo necklace stored some distance away. Subject 052 described a complex scene unfolding before her eyes: Unfamiliar architecture framed a foreign-looking, left-handed craftsman who was hard at work making none other than a beautiful “gold” or “steel” chain. In November 1986, a remote viewing subject who was sent to Saturn’s moon Titan reported seeing a base on Titan’s surface. Entering the base, the remote viewer found to her astonishment that all the operators were identical to human beings. She observed two young, healthy human males working at a control panel supervised by an attractive female. In the same document, the subject describes two other sessions, this time on Earth. When sent to Mount Hayes in Alaska, the remote viewer reported seeing two “entities” working outside a structure. Inside the structure, the remote viewer came across a human-looking technician working at a strange machine. The technician could see the remote viewer and invited her to take a look at the apparatus. An even stranger scene met our remote viewer when taking a look at a site somewhere in the southern hemisphere: an inhuman, robot-like creature and a hairless, pale humanoid entity that was aware of her presence. Since the end of World War II, the CIA has kept an unwavering eye on its Russian counterparts. So it’s no surprise to find a document entitled “Parapsychology in the USSR” among the 12,000-page CREST archive. This document explains that Russian researchers were no nearer the truth about psi than anyone else prior to the industrial revolution, but everything changed after the 1917 October Revolution. From 1922 to 1928, many paranormal research papers were published in Russian research universities. But it was only after the supposed telepathy attacks of the USS Nautilus that the Soviets put their paranormal program into full gear. In no time, Russian psi researchers became both the bane and envy of their CIA counterparts. While parapsychology was never an officially recognized branch of science in the USSR, more than 30 academic centers in Russia were dedicated to the study of psi phenomena by 1967. Their yearly budgets surpassed 13 million rubles. Project Grill Flame, one of the first programs in the early days of Project Stargate, sought to uncover military applications of psi technology. This assignment was officially conducted by the US Army and INSCOM. But with the release of the Stargate files, it was confirmed that Project Grill Flame was run with CIA help from the very beginning. One of the CIA’s most famous test subjects was a young army officer named Joe McMoneagle, an agent who would go on to complete dozens of remote viewing missions for the CIA. Delivered upon the completion of the project in October 1983, the Grill Flame Project Report recommends that a wide variety of psi phenomena be investigated for their potential tactical utility. By 1984, army remote viewer Joe McMoneagle had progressed to the top ranks of the CIA remote viewing hierarchy. 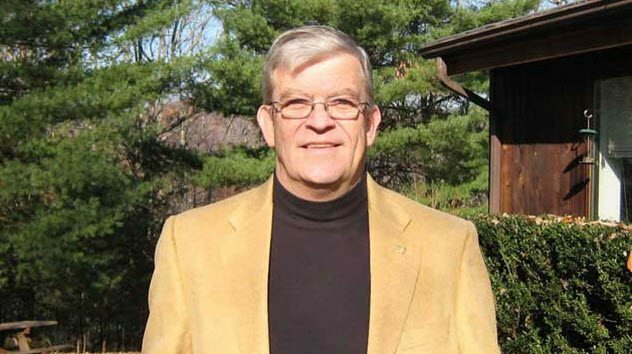 Among dozens, if not hundreds, of missions geared toward fighting communism and terrorism and instigating foreign regime change, McMoneagle was sent on one mission quite unlike any of his others. While Joe was staying with longtime CIA-friendly remote viewer Robert Monroe at his property in Virginia, Monroe received instructions from the CIA for a new remote viewing mission. A small envelope was sent, which Robert kept in his shirt pocket unopened. From inside Monroe’s specially designed sensory deprivation tank, Joe focused on the sealed envelope in Robert’s pocket. Unknown to Monroe or McMoneagle, written on the small card inside the envelope were timespace coordinates far away from our own: the planet Mars, 1 million years BC. An old sandy pyramid, so tall it boggles the mind (later estimated to be some 20 kilometers (12 mi) high), emerges from a deep depression in the ground. Vast storms swirl across the sky. It seems a cataclysm has occurred. Going back in time is like night and day. The sandy pyramid is now shimmering and metallic, and vague forms of gigantic thin people can be made out. They say they are an ancient race, doomed to die if those who left in search of another home do not return. While his handler gave him a few different sets of coordinates to take a look at before Joe fizzled out, his main area of focus was later revealed to be the Cydonia region of Mars. 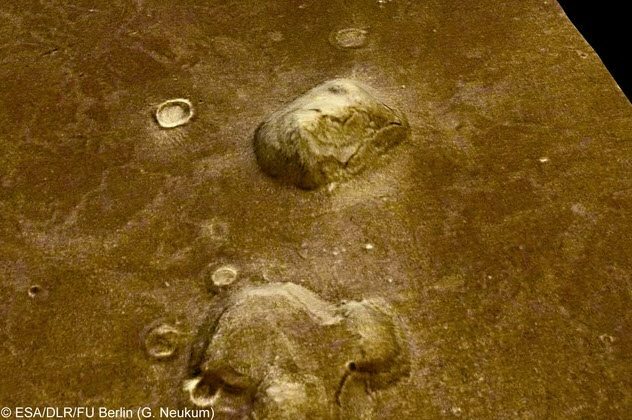 Two unexplained geological formations on this barren Martian plain were first photographed by the Viking 1 spacecraft in 1976: the Face on Mars and a mysterious mountain that eerily resembles a giant pyramid. Brought in as an outside contractor in 1972, the Stanford Research Institute (SRI) remained the CIA’s steadfast partner until the end of the Stargate project. Over time, the SRI would produce dozens of classified documents which would eventually be included in the Project Stargate FOIA release. The SRI found, as had so many institutions that came before it, that you can’t bottle the human mind, label it, or sell it. Without funding, the Stargate program died within months. 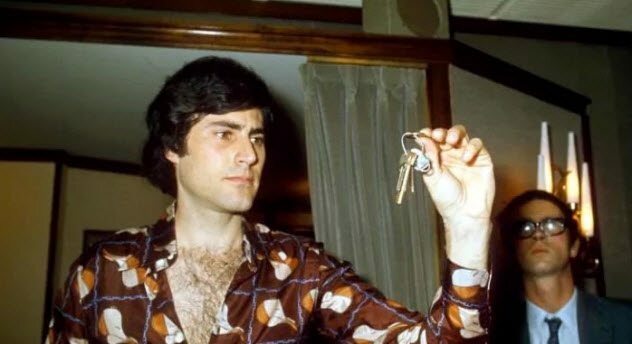 There’s no one like Uri Geller to get skeptics and believers throwing verbal fists in the YouTube comments section. It seems like no other alleged psychic has been so routinely vindicated and debunked. The truth is, almost all of Geller’s supposedly supernatural feats can be replicated with stage magic. Of course, Geller, who claims to be an alien consciousness beamed from deep space, swears that he does his tricks with only his mind. There are a couple of reasons to believe his story. For one, Geller made his fortune not only by making eerily apt financial decisions but also by helping various corporations scout for resources. When the Project Stargate documents were declassified, it was revealed that Geller had been involved with the CIA in the 1970s as part of the SRI program. While some speculate that Geller was and perhaps is the leader of Mossad’s psychological warfare operations, we do know that the CIA remained interested enough in Geller to send one of their remote viewers to take a look at him in September 1990. Ingo Swann, another famous psi-sensitive employed by the CIA, was a reported remote viewer who also exhibited other psi phenomena such as psychokinesis. The majority of the Project Stargate experiments had to do with remote viewing because it was believed that this particular psi ability had the most tactical value. However, the CIA occasionally explored the mind’s potential to directly affect physical matter, a phenomenon known as psychokinesis. In February 1976, the CIA took Swann to one of their affiliates, Maimonides Medical Center, to see if this reported psi-sensitive could psychokinetically affect the results given by a random number generator. According to the report, the experiment was a success. Swann was afforded a special privilege during his years at the CIA. In 1973, he and fellow CIA remote viewer Harold Sherman were sent to Jupiter. While Swann was monitored by CIA personnel somewhere in the SRI laboratories in California, Sherman was relaxing in his specially built sensory deprivation tank at his home, hundreds of miles and two time zones away. Upon comparing their stories afterward by phone, Swann and Sherman were shocked to find that their remote viewing sessions contained the same major details even though no close-up photographs had ever been taken of Jupiter at that time. 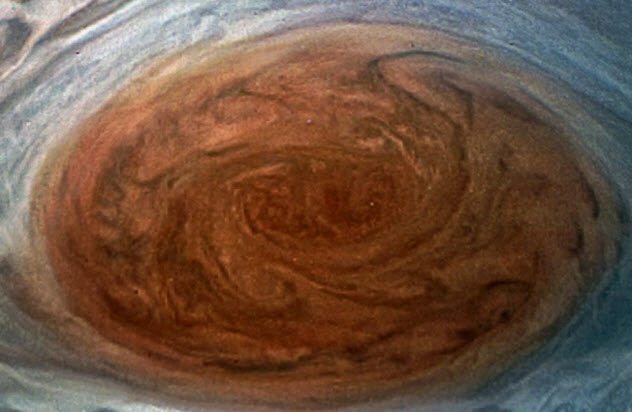 They both correctly identified the Great Red Spot and the vast dark cloud which trails behind it. They reported that there were endless fields of suspended crystals glittering among the vast billowing clouds. The crystals reflected both the light of the Sun and that of vast electric storms on Jupiter’s surface. 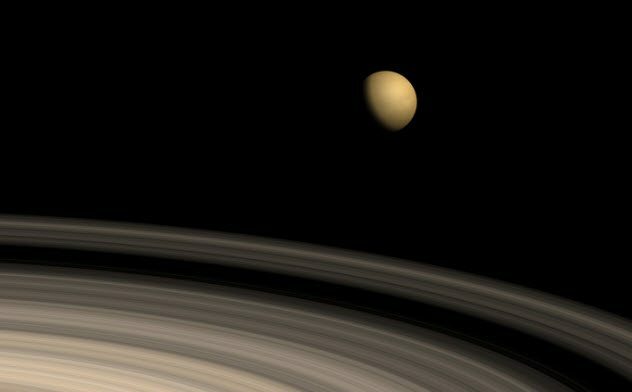 Swann estimated that the surface lay some 193,000 kilometers (120,000 mi) below the clouds. The clouds themselves had many layers. As with America’s other most memorable terrorist attack, many have questioned the official narrative of the Oklahoma City bombing. 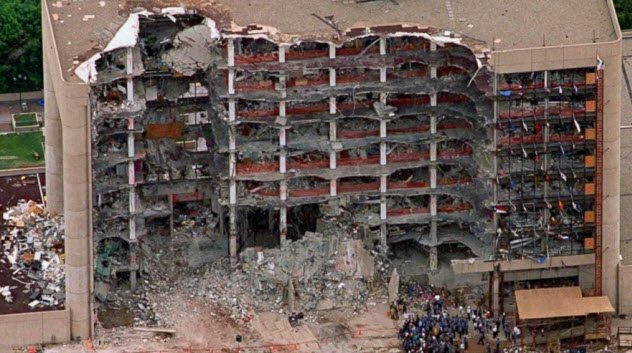 In 1995, Timothy McVeigh and Terry Nichols did devastating damage to a federal building in downtown Oklahoma City, claiming 168 lives. Released to commemorate the 10-year anniversary of the bombing, Jayna Davis’s The Third Terrorist questions whether Iraqi terrorists, operating with the blessing of Iran, may have actually organized the bombing. Though Davis’s book was used as evidence shortly after publication as part of a Congressional hearing into the Oklahoma City bombing, her theory would be largely irrelevant if it weren’t for the spookiest Project Stargate document of them all. On April 20, 1995, the CIA received the following unsolicited intel from famed psi-sensitive and CIA operative Joe McMoneagle about the (supposedly) domestic terrorism event that had occurred the day before. McMoneagle related that five men, not two, were responsible for the incident and that three were Arabic. Most chillingly of all, Joe identifies the most likely country of origin for these foreign Islamic terrorists—Iraq. The oddest part of the brief report is McMoneagle’s conviction that a person named “Carl” would have something to do with the bombing. 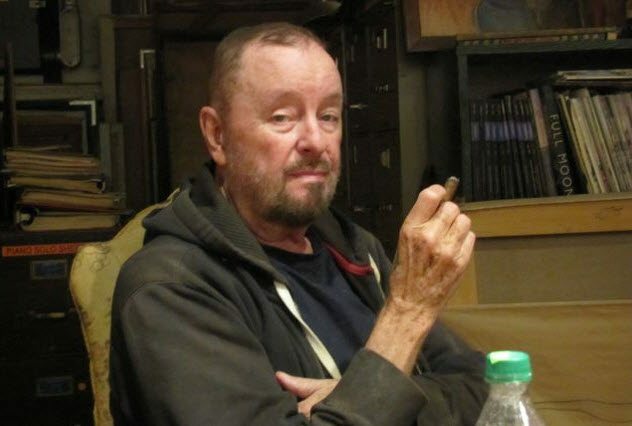 Disappointingly for remote viewing believers, neither of the domestic terrorists nor their known accomplices was named Carl, and it’s unlikely that any of the three “Arabic” accomplices were named Carl, either. Yet Carl Spengler, an on-call physician at a nearby hospital, was the first responder on the scene of the bombing—the first person to view the devastation which had just unfolded. Samuel is a college graduate with a passion for the mythological and esoteric. Listverse is the perfect platform for sharing his predilection for the paranormal and the mind-blowing. With professional experience as a business consultant, he aims for his writing to be fun, concise, and thought-provoking. Follow him on Twitter. 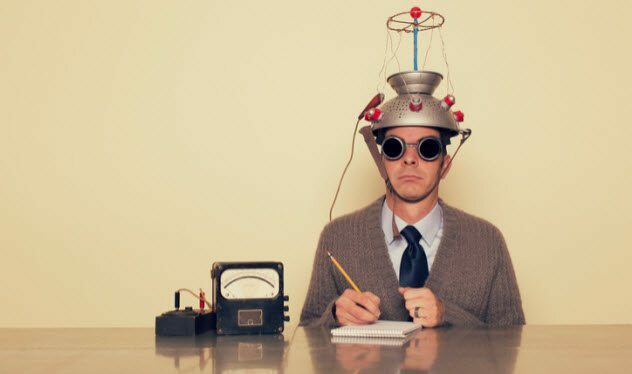 Read more about the CIA’s bizarre projects on 10 CIA Documents That Prove They’re Up To Some Pretty Lame Stuff and Top 10 Unbelievable Ways The CIA Experimented With Psychic Powers.